Those pants are adorable! These look so comfy...now I'm totally inspired to make a pair of printed "sweat pants"! This is my favorite look so far! 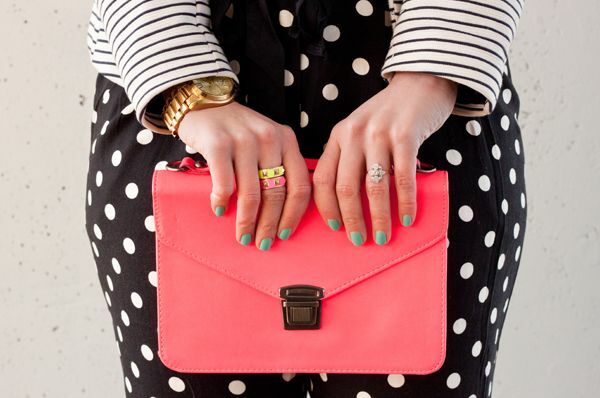 I love the dots and stripes together and the pop of coral-y pink is so pretty. How comfy do those pants look?! I love the trousers!! I'm so jealous, I'm too short/weirdly proportioned to pull off pants of any kind. You look amazing, though! Loving the lip color as well. You look stunning in these photos! 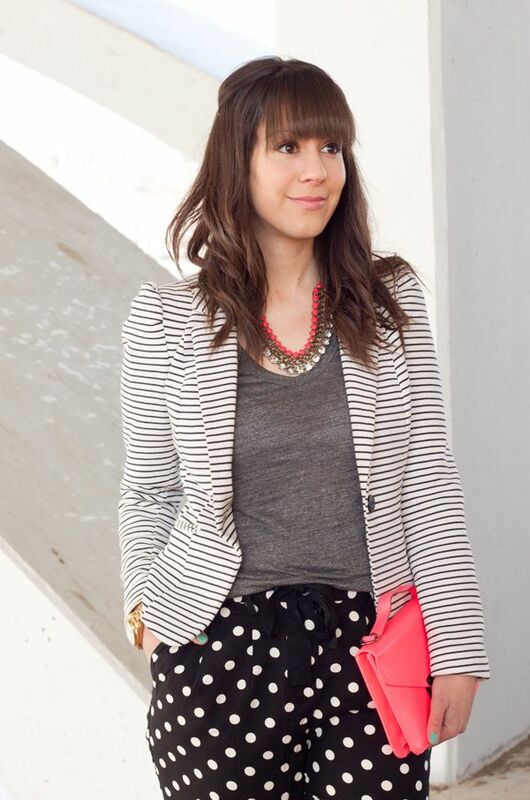 Love the print mix with the pop of color. Those pants look awesome on you! 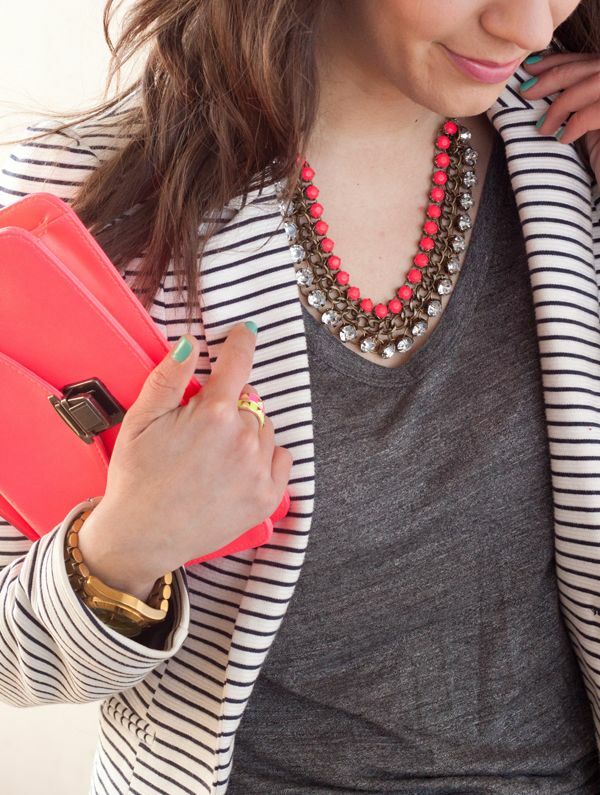 I love how you're a blogger that actually wears cheap(er) things, instead of just posting about it.